Small business owners: this one’s for you. While many of you have heard about social media and maybe even experimented with it as well, you may still be wondering exactly what it can do for your business. In today’s world, you’d be crazy to just build a website and declare your online marketing campaign complete. Your website is important. Absolutely. It’s the only place where you still have absolute control over your brand, your message, your products. But your website’s importance is tempered by the rise of mainstream acceptance of social media. Consumers want to cut through the hype and get real info from real people, i.e., fellow product users, restaurant patrons, customers of your business. If you lead a small business, take advantage of the free communication tools to build your online brand and connect with more of your customers. Shoot a product video and post it on YouTube. Post coupons on your Twitter account. Create a fan page on Facebook. A small business in Atlantic Beach, Fla. is doing just that. 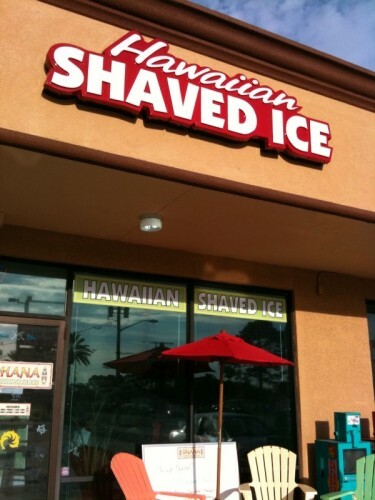 Ohana Hawaiian Shaved Ice opened a month ago and already is connected with 111 fans, (their customers) who are now posting photos and comments about their delicious, one-of-a-kind ices. Those comments form a conversation, and that conversation is free advertising, because every time a Facebook user makes a comment, it’s reflected on his or her status, which is then potentially viewed by that person’s friends. When every person on Facebook has an average of 120 friends, a few comments can suddenly reach thousands of people. That’s what I call expanding business by word of mouth – 21st Century style. To succeed in the current economic climate, your business can follow the failed recessional model of cutting advertising budgets and then losing market share, or, you can leapfrog your competition by intelligently investing in ways to reach more of your customers. Today, many small businesses are simply not familiar with how to leverage technology and online tools to reach new customers and keep current clients happy. Take advertising, for example. Even if you continue to spend incredible sums on TV or radio spots or print ads, those are simply not effective if you’re targeting a particular segment of a market. How many people really watched, listened to, or read your ad? You may have a ratings guide or audit from the publisher, but no real-time data to know exactly how many people are engaging with your ad. In contrast, running digital display ads and an email marketing campaign not only allow you to drill down to the exact geographic and demographic you’re trying to reach, you can also precisely measure how many people saw your ad, clicked on your ad, read your email, and more. Perhaps you’ve already dipped your toe into the digital waters but are a wee bit overwhelmed. Fortunately, The Red Building Group is here to help you build a successful foundation. From search advertising to email to display, we can help you develop your message online to drive sales. Contact us today for a free consultation.